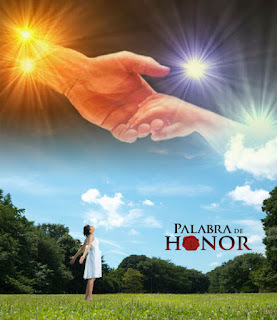 Word of Honor: What’s God’s will in your life? What’s God’s will in your life? The sooner you understand that everything that the Bible, God’s Word, says is for your benefit, the sooner you can believe and receive the plentiful and abundant life that Jesus bought for you when he died in the cross. It is so simple! The key for your existance is in making the Bible the rule and basic principle of your life. Set God’s Word in your mind, mouth, and heart! Read and meditate on the Bible every day of your life, day and night. God’s Word is alive and it is efficient to produce in your life the faith you need to believe and make all the things God has said about you happen. God’s will and wish for you has always been good, pleasant and perfect. Of all this, the most beautiful Truth is that God loves you. Yes, my friend, God loves you, and he loves you so much that he chose to give his own Son so he could pay the price of your sins before losing you. It is because of His great Love with which He has loved you that God has spoken words of good and blessing upon your life. It is because He loves you so much that He thought up and developed a plan where all your sins were paid through the life of His son, Jesus, to justify you, sanctify you, make you perfect, forgive you and, like this, give you the Eternal Life that only God's Children, Born Again, can enjoy. Now, in Jesus Christ, the best times of your life have already started. There is a completely new path before your feet that has been blessed by your God and Father. Even though, for sure, you shall have afflictions you can live at peace because God’s Word of Honor gives you the certainty that you shall be more than victorious over any problem, disease or affliction through He who loved you, Jesus Christ. God has established it like that in His Word, and if God said it, then, He will fulfill it, if God spoke then He will do it. God does not lie! This is why the time has come, and the time is now, for you to start making the reading and meditating of the Bible your top priority of existence. You can only know of and believe in God’s love for you through the Bible. You can only know of and believe in the good, pleasant and perfect will God has for you through the Bible. The Bible, God’s Word, is a fountain of the waters of eternal life that runs in you. It is the seed planted on the good earth of your heart that will give fruit a hundred per each seed planted. So, God loves you, He wishes you well and a good life. Therefore you can start believing and receiving this Love that God has for you by aligning your thoughts, feelings, emotions and words to God’s Word. Submit yourself to God, submit to His Word, resist the devil and he shall flee from you for Satan only comes to steal, kill, and destroy. But now, Jesus is with you to give you that good and abundant life that he has already paid for you by spilling till the last drop of His Blood because of His Love for you. Remember always that EVERYTHING that is writen in the Bible about you will happen. It is God’s Word! This is The Word of Honor! Dear Heavenly Father, I want thank you today for Your Word, the Bible. Lord I know that you don’t lie, that the Bible is Your Word of Honor and that, therefore, my heart is steady, trusting in You, Lord Jesus. My heart is insured by Your Word and will not be afraid. Because of Your Word I know that I have set Jehovah, the Highest, who is my refuge as my habitation. No evil shall come upon me, nor plague will come into my dwelling. You will send You angels near me so they can protect all of my paths, in their hands they shall take me so my foot will not stumble upon any rocks. I will step on the lion and the asp. I will tread the lion’s and dragon’s pup. For You have set Your love upon me, You will also free me. You will set me on high ground for I have known Your name. I will call for You and You will answer. You will be with me in my anguish. You will free me and glorify me. You will sate me with plentiful and abundant life, which is what it is written about me. Lord Jesus, You are the fountain of Eternal Life that runs through me. Amen. How can I be a Son of God? How do I establish a relationship with the Almighty? Lord Jesus, I believe you are the Son of God. That you came into this world through virgin Mary to pay for all my sins, and I have been a sinner. This is why I tell you today that I accept! I accept your sacrifice in the cross! I accept your precious Blood spilled to the last drop because of Your Love to me. I open up my heart and ask you to enter because I want You to be my one and only Savior from today on, my God, my King, my Lord. Thank you almighty God, because with this simple prayer and faith confession I have moved from death to Life, I have been moved from shadows to Your admirable Light. I have been born again! God, I am now Your Son (Daughter)! You are now my Father! I shall never be alone! I will never live defeated! In the name of Jesus Christ. Amen. Etiquetas: What’s God’s will in your life? What does BEING a Child of God mean? Who are you in Jesus Christ? How to receive True Freedom! How do you prepare yourself for victory! Which is the one true Gospel? How you test your faith! How to obtain a mountain moving faith! How to be sure that you will get through! How to live in God’s Will! How to enter God’s plentifulness! What do you really have in Jesus Christ? Where will your aid will come from? How to live in peace! How to activate your faith! How to be a doer of the Word! How to face life’s problems! How to go through the Valley of Tears! Who can defeat you today? How to supernaturally defeat all your problems! What do you need to keep moving forward?